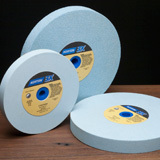 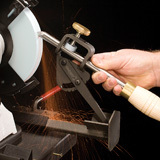 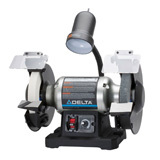 We offer a wide selection of sharpening systems, jigs, gauges, diamond wheel dressers, tools and more to help you achieve the perfect grind every time. 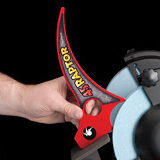 Enjoy the thrill of peeling away wood with a precision ground, razor sharp woodturning tool every time you turn. 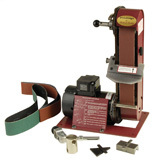 The Oneway Wolverine sharpening system in conjunction with our wide range of sharpening jigs like the Raptor™ Set Up Tools and Profile-Pro Set Up Tools make it easy to achieve consistent, repeatable grinds every time.